Update: Clarified listing of subtitled and dubbed screenings. 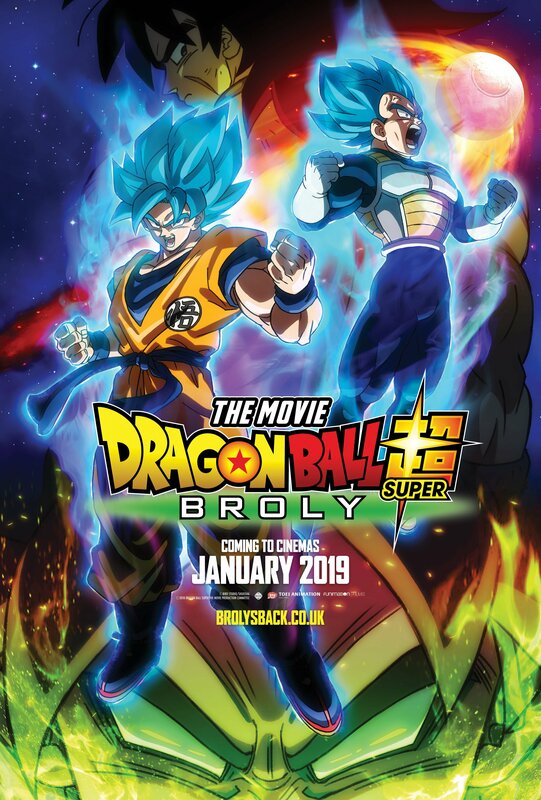 Original Article: Following last month’s long-awaited announcement of a January theatrical release for Dragon Ball Super: Broly, listings on the website for cinema chains Cineworld and Vue have revealed the film’s release dates, with both the English dubbed and original subtitled Japanese language versions of the film apparently showing on Wednesday 23rd January 2019 and Thursday 24th January 2019,. The film is listed with a 12A certification, although this could not be independently verified with the BBFC, so may be a placeholder. While preliminary listings have appeared on Cineworld and Vue’s websites, the full list of cinema chains and locations showing the film have yet to be confirmed by the distributor, Manga Entertainment UK, and will likely follow their official announcement of the dates. Exact dates may also vary between cinemas. You can however, sign up for email notifications at the film’s official website, https://brolysback.co.uk/. Tatsuya Nagamine (One Piece Film Z) is directing the film at Toei Animation, with a story and screenplay by Dragon Ball creator Akira Toriyama. The film is currently scheduled to be released in Japan on 14th December 2018. 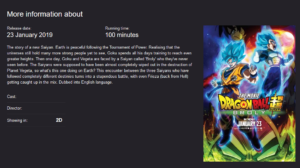 The Dragon Ball Super television anime was broadcast in Japan from 2015-2018, and is available on DVD and Blu-ray from Manga Entertainment UK.